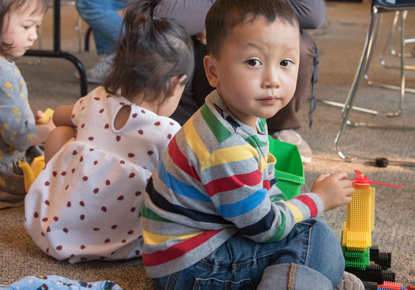 Wednesday, Sep. 12, 2018, 10:30 – 11:30 a.m.
Kaleidoscope play & learn offers a chance for children and their families to come play and have a good time. This group is open to children of all abilities, ages 18 months to 5 years old. Children learn and explore through the use of art, music, toys and more. Families learn about their child's development and community resources available to them.